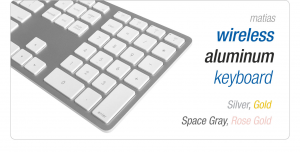 I wrote to a Matias.ca representative in Europe and obtained a slight discount for 2 of their Wireless aluminum units so I could review them, one in grey and one in white. These keyboards looked amazing in their website, they have a battery which lasts around 1 year (depending on usage logically), they allow you to pair more than one device at a time (something I honestly wasn’t looking for, but it was a nice add-on). The price: USD 99 each, you can check all the specs on this link on their website. I received both products, and they looked pretty good at first glance, but when you when doing a more detailed inspection and basic testing I found that the edge of the keys were a bit sharp, so depending on where you hit some of them you could feel your skin being slightly caught on the edges between the key and the aluminum base, this strange feeling went away after a couple of days. After a week or so I had issues with both keyboards, a key on each of them started to get stuck, so you would press it and it would take a couple of seconds to return to its uplift position, sometimes even the key would be registered on the document I was typing more than once because of this. 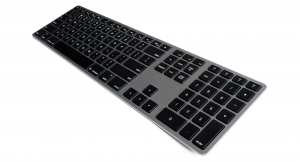 I contacted the official distributor and they exchange both keyboards, so the testing would start again from scratch. This time both keyboards were working fine, but I started to face some spontaneous bluetooth disconnections, moving that obstacle that was a bit annoying but was getting used to it, I noticed that 2 keys on the white keyboard started to face out. This happened just 2 months after using them. The white one not even extensively as is the one I was using at home. I must say that I contacted Matias.ca and provided the feedback, they tried to explain me that some persons skin chemistry is propense to affect more the paint on the keys, they even shared with me this link and this other as an intent of explanation. I did not accept the explanation and was offered a full refund that I accepted and returned both keyboards. 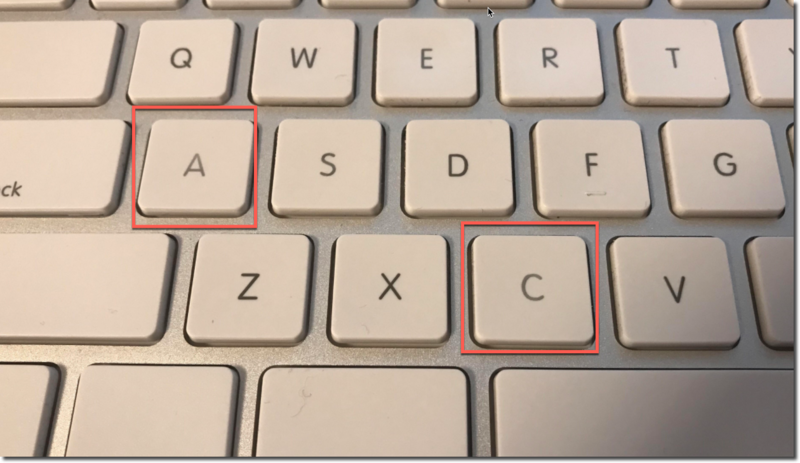 You can see how the “A” and “C” keys are already showing some signs of usage after only 2 months. Click on the image if you want to see it in bigger size. While I understand that some people may have a harder effect on the paint of the keys, I still think there should be a minimum level of quality provided. Using a keyboard not even intensively for 2 months should not have any impact at all on the colouring of keys on a keyboard and I provided this feedback to them. I appreciate their responsiveness and their flexibility on exchanging or returning the units and I strongly believe this is a very strong aspect of the brand. But if they could improve their quality, then I would definitely go for another test round without any issues. The company might have a great potential if they get it right on the next versions of at least this product. 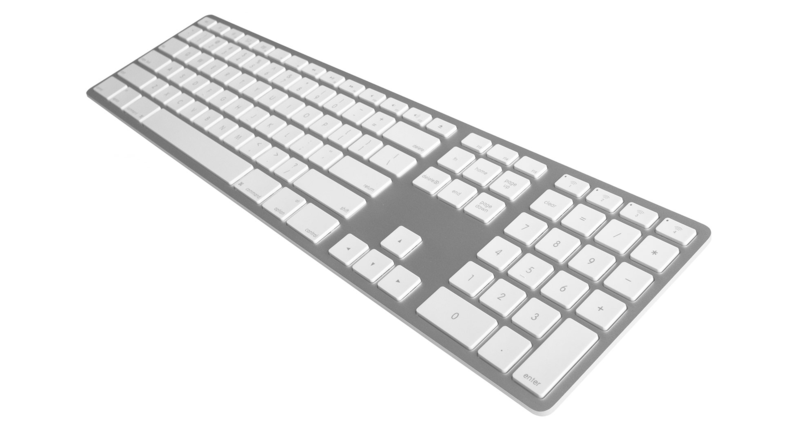 For the ones interested, I ended up buying an Apple wireless keyboard which is more expensive but gives me the quality and performance I was looking for. Don’t below-ensure the items inside your home to save lots of several cash on your insurance policy high quality. This may seem like a great idea when you sign up for your plan, due to the fact nobody really feels a catastrophe will almost certainly occur to them. The issue is, if and when a tragedy does hit, it’s challenging adequate already and never have to come to phrases with the point that your insurance plan cash is not sufficient to at the very least replace a number of the substance products you’ve dropped. Money is an issue that each and every grown-up handles. Every part of the time makes it necessary that you make numerous financial selections, so it is essential that you have a deal with on the finances once you can. Here are several excellent personal financial suggestions to keep you heading in the good course.